If your pantry is your medicine cabinet than your garden should be your pharmacy. Many people have never tended a garden or experienced what it’s like to grow their own food. Gardening in itself can be an incredible therapeutic hobby, but it’s even better when the fruit of your labor can feed or cure you! If you’re feeling adventurous, try growing these 11 healing plants. 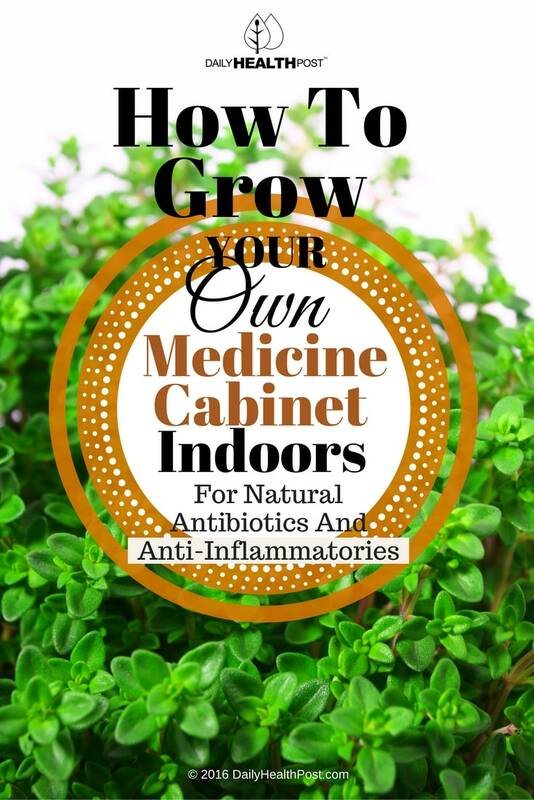 You don’t even need a backyard, many of these herbs and spices can be grown indoors! Other than being used to flavor classic pasta dishes and rich tomato sauces, basil can be used as a digestive aid. In fact, it’s used in traditional medicine to treat stomach and kidney ailments and promote blood flow (1). Basil is also high in beta-carotene, which is transformed into vitamin A (2). This vitamin is necessary for the growth and specialization of human cells. It’s also important for the eyes, skin, blood and immune system (3). Typically, vitamin A is used to treat skin conditions, vision problems, menstruation symptoms, asthma, kidney stones and thyroid dysfunction (4). Basil seeds are available in most hardware stores and juvenile plants can be purchased from your local grocery store year-round. Simply grow it in a warm spot with lots of bright indirect sunlight. Basil is quite sensitive to drying out, so make sure to keep it well watered and to plant it in a pot with a hole for water drainage. Bay leaves gives stews and soups a slight, stubble flavor. 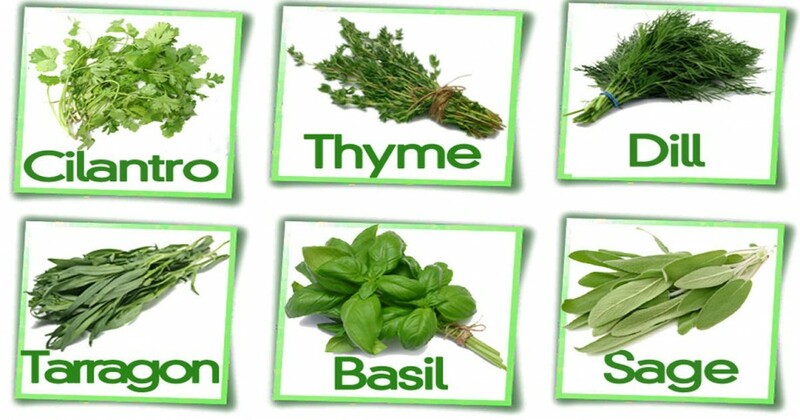 Some natural health practitioners rely on the herb to treat cancer, epilepsy, gas, bile obstruction and fatigue. It’s also used to treat dandruff, boils and joint pain (5). Bay leaves comes from 40- to 50-foot trees. They are difficult to grow on your own, so it’s best to purchase a young plant or topiary from a specialized gardener or online (6). This spicy little pepper and other plants in the capsicum family can be used both internally and externally as a cure. It’s typically used for digestive tract issues like diarrhea, cramps, sore throat, laryngitis, flatulence and poor appetite. It’s also a cure for pneumonia, asthma and toothache, among other things. Externally, it’s mainly used to treat skin inflammation and joint pain (7). A lot of pepper plants sold in gardens hop are decorative and not meant for ingestion. That’s why it’s important to purchase a pepper plant or seeds from a reputable source. Make sure that it’s grown in water retentive soil so that the plant doesn’t dry out as it grows. Dill goes way beyond pickle seasoning! The herb is used to help ease digestion, flatulence and water retention. It’s also a helpful sedative that soothes anxiety, spasms and sleep disorders. Dill is incredibly easy to grow from seeds and can typically be harvested 6-8 weeks after being sown. It likes being in sunlight and should be allowed to dry out between watering. Ginger is probably the most well-known and widely used spice on the list. The root is a quick and effective remedy to a sore stomach, the cold and flu and nausea. It also cures inflammation, eases stress, freshens breath and fights cancer (8). Ginger takes almost a year to grow from the seeds, but it’s a very easy process. All you need is a pot deep enough to accommodate the growing root. If you use ginger daily, prepare a few plants so that you have a large enough supply to meet your needs. This aromatic herb is the perfect mix of sweet and savory. It’s commonly used to treat respiratory ailments like cough, bronchitis and asthma. However, it can also be used to cure headaches, heartburn and gum disease (9). Oregano can be grown from seeds in your garden after the last frost of the spring. Leave them above the soil and cover with plastic. Mist frequently but do not water. Parsley is used to digestive issues like jaundice, indigestion, gallstones and constipation. The herb also treat high blood pressure, diabetes, menstrual difficulties and urinary tract infection (10,11). It should not be used during pregnancy as it can cause miscarriage. Parsley should be places in a bright, humid area. It can easily be grown alongside thyme, basil, mint, and oregano. Peppermint tea is a popular stomachic, stimulant, antiseptic, local anesthetic,and antispasmodic. It also relieves sore throat, head-aches, leg cramps and toothache (12). The tea can be inhaled to relieve the pain from sinus infection and the cold and flu (13). Peppermint grows quite well in warm conditions but is sensitive to over-watering and cold, so it’s best to harvest and dry your herb during winter. Rosemary is often added into bathwater to promote blood flow, soothe eczema, treat sciatica and ease inflammation and pain in the joints. It can also be steeped as a tea to treat heartburn, flatulence, memory loss and liver and gallbladder complaints (14,15). Like parsley, rosemary can be used to increase menstrual flow and cause abortions. Oregano is cheap to grow and buy and can last years if well taken care of. Keep them near a warm, sunny window, spray them with water often and they’ll thrive in no time! Sage and butter are the ultimate compliment to winter vegetables. It’s used to prevent nighttime perspiration, ease spasms, stop milk flow and calm nervous conditions (16). It can also treat cold sores, gingivitis, hot flashes and memory loss (17). Sage is similar to oregano in terms of care, but should be pruned and harvested a bit at a time to promote new growth. Thyme is a sedative that helps respiratory conditions like acute bronchitis, laryngitis and whooping cough (18). It also treats common conditions like flatulence, parasitic worm infections, arthritis, loss of apetite and upset stomach (19). Thyme should be kept in a warm, sunny location and grown in a clay pot to keep the soil dry between watering.